“This 200 hour YTT program was such an eye-opening experience. Not only was it relevant to my personal mental health and well-being, but it gave me the tools, the dedication, the historical context, and the desire to pursue yoga as a path towards health and wellness long-term in my life. The teachers really gave me everything I hoped for in a YTT program. They were kind, thoughtful, and challenged me in ways I did not anticipate. 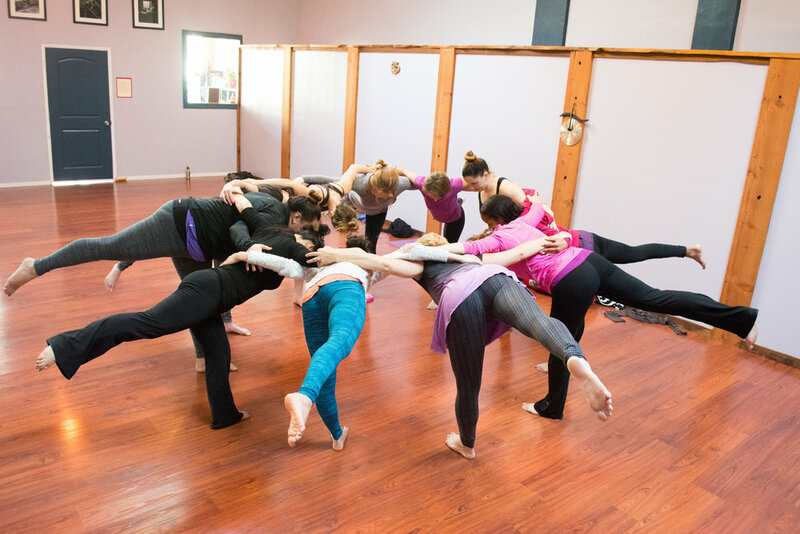 I continue to practice at this studio because it serves and grows one of the most beautiful and welcoming and supportive communities in the yoga world that I have seen.” - Stephanie Snopeck. The Tree of Classic Yoga is vast and beautiful, encompassing a holistic network of branches that invite each student to explore inwardly and discover the world’s truths. These truths have been rediscovered for generations, and within each of us there is a vast knowledge. Every truth we realize in our own hearts will be the only real treasures we have to give others. The course also includes a strong emphasis on health education, mental wellbeing, physical fitness, and classic yoga that is applicable to the modern world. Purusha Yoga Teacher Training is not just about teaching. Many choose this path as a means of experiencing and exploring the many facets of Yoga in a deeper and more meaningful way. Opportunities for employment, networking, and discounts on continued training. The Level I Yoga Teacher Training is a foundational 200 Hour training. Upon completion you will qualify to register with the Yoga Alliance as a RYT 200 (registered Yoga Teacher 200 hour level). The Level I is a prerequisite for the Level II (300 Hour) Advanced Yoga Teacher Training and Level III Yoga Therapist Certification. You may enter into our level II & III with this level I completed or another approved Level I completed from a different school of Hatha or Raja Yoga that is registered with the Yoga Alliance.